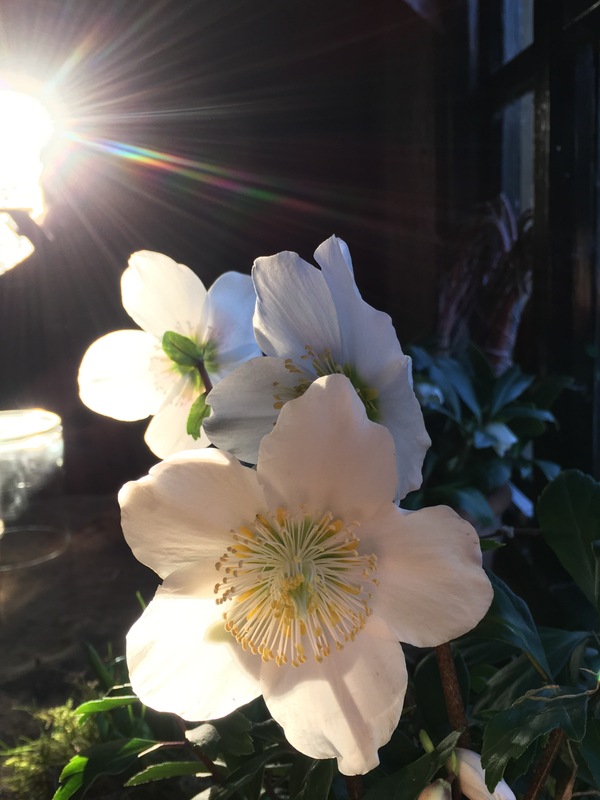 Hellebore Jacob, caught in a shaft of sunlight from the tiny side window in the pottingshed. Brightened my day. Happy New Year to all of you. ← #WordlessWednesday -hydrangea Burgundy brightening up winter. 28 Dec 2016. How beautiful. And a happy new year to you too Karen. Happy New Year to you!! Stunning picture! Stunning image Karen, well captured. Thanks Karen. I will have a look. Is it a H niger, I wonder? Yes it is Hellebore niger “gold collection” Jacob. It’s a stunner. More robust than the older varieties. Certainly an improvement. Oh that’s good to know – especially as I thought I might treat myself to some new hellebores this year!